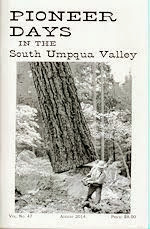 The South Umpqua Historical Society had its quarterly meeting on November 6, at the Heaven on Earth Restaurant in Azalea. After a great dinner, Roy Brogden started the meeting with a welcome, minutes and the Treasurer’s report. We discussed ‘money’. We are still trying to get a grant for the solar system and we want to thank Huffman and Wright for their donation of $500. We have received a grant of $3700 from Pacific Connector for the gas heater in the Pickett Building. The much needed heater was installed by Custom Heating of Myrtle Creek. 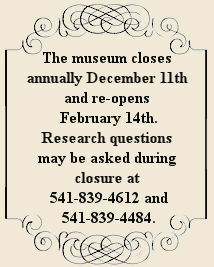 Three flag poles will be worked on during the winter break. We will have the American, Oregon and Cow Creek tribal flags. Thank you Cow Creeks for the beautiful flag. It is so good people are willing to help us pay our bills. To those who responded to our appeal last quarter, THANK YOU. This will help us pay our 2017 utilities, which are about $8000. We have received $6050, the Cow Creeks gave $4000 and $2050 from many of you. Thank you all again. We could not do it without YOU . We will be going ahead with a second proposal for a grant to fund the solar project. And, surprise, surprise, it is now time to pay dues. Please note the enclosure. Donna Witt is again checking thinks out to refresh and change displays. I think Susie Waddle is helping. Thanks, Donna and Susie. We had a grandma with her grandchildren visit and 7 year-old Travis seemed to be interested in many things. I told him we were trying to finish the Pickett building. He let me know we had better have it finished when he returned or there would be consequences. He didn’t think olden times were so good, no u-tube. Oregon, land of the Empire Builders, Land of the Golden West. Oregon was given a few names, but the one that stuck was “The Beaver State”. Oregon was honored with a quarter in 2005, but unlike other states, it had 2 other coins, “The Beaver Coins”. New Oregonians were bringing back gold dust from California and people were going from rags to riches. Not only miners, but suppliers as well. Gold dust currency was a struggle. Merchants were not always given the amount the dust was worth. So, in February, 1849, $2,000,000 in gold dust was ready to be minted. A bill was passed and a $5 and $10 coin would be minted. The first coined $50,000 of coins before Gov. Joseph Lane closed the mint. He didn’t close “Oregon Exchange Co.”, and this company coined #55,000, $5 and $10 gold pieces. This was our “Beaver Money”. On one side the name of the company and words, native gold. The other side, a beaver with partner’s initials, T.O., Oregon Territory and 1849. The coins didn’t last too long thanks to the U.S. Mint in San Francisco. They say, there are about 30 to 50 of the $5 coins existing, less of the $10. In 2006, a $5 Beaver coin sold here for $250,000. David Nelkins of Eugene Coin and Jewelry bought a Beaver coin for more than$250,000. He didn’t tell how much, but the person he bought it from paid $257,000. David is an Oregonian and bought it for the `art’ of the coin. Keep your eyes open, maybe you’ll find a Beaver coin. And I thought I was getting old! Last time it was the Statue of Liberty getting older and now it’s Oregon. Oregon will be 158 years old on February 14, what a sweetheart. How many of you were born in Oregon and know the Oregon song. Oregon, My Oregon, the state song was written as a poem for a contest back in 1920. In a contest sponsored by the Society of Oregon Composers, 5 judges chose John A. Buchanan’s poem from 212 entries. John was a teacher and went back to school for a law degree. He started his practice in Roseburg in 1898. He was also a State Legislator and a Judge. His home is in the Pine District of Roseburg. After having his poem chosen, the Society Vice President, Henry B. Murtagh, set the poem to music, thus, in 1927, the Oregon legislature officially designated, Oregon, My Oregon, as the state song. Henry Murtagh was a well-known silent-film theater organist as was Frank Alexander, member Joan Alexander Barnes’ father. Joan has original sheet music of “Oregon, My Oregon”, printed in 1920. 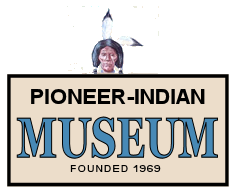 Sunday, February 5 at 1:00 pm at the Pioneer/Indian Museum in Canyonville.